We start Quranic courses for beginner children predominantly when kids are 6 years old or upward beginning free trial quran classes almost for one month to know child capability of understanding quranic letters separately and combination of different quranic words by applying Arabic tajweed rules which are mentioned in quran learning classes on daily base. We deliver quranic classes to all beginner quran learners by using disparate methods of quran teaching which make kids allowed to keep reading quran lessons fluently. Once basic quranic lessons are brought to end within 4 months, beginner child would be able to recite quranic basic surah’s from last para in Arabic successfully as kid has memorized them just because of learning tajweed rules in English with an easy technique. So start quran classes for your beautiful beginner kid with one month free trial quran lessons facility which Tadeebulquran.com is providing to all beginners. At Tadeebulquran Online Quran Learning Institute, Our well-mannered & professional quran tutors start their first quran lesson with quran learning students (Either kids are complete beginners or have learnt some Quranic chapters) from Basic Quran Learning Book (Noorani Qaidah) which is obligatory to understand quranic Arabic alphabets, words and sentencese with different sings such as Harkat sings, Tunween sings, Jzam sings, waqf sings and letters of divergent types. Moreover we teach Tajweed rules ( to make better the pronunciation of any word during reciting the holy quran) gradually but compulsory with each quran lesson and all necessary prayers to get rid of jealousy, evil eye or any bad ideas from Satans, Basic education about Islam related to creed, manners, characters, act of worship and some other Islamic deeds are demonstrated regularly in order to know how to live, worship to Allah alone and behave others people. Online Quran Lessons are much easier than to go to quran academy because online quran classes facility provides you one to one learning opportunity which can’t be found anywhere except on online resources to opt for any sustainable schedule for quran learning course either child is out of home or country that means it’s a time saving way for any kid to do some others activities. At Tadeebulquran Quranic School, we give grantee of all our specialist tajweed tutors to teach quran lesson properly, if any kid is still unfamiliar in quran reading here, we’ll do all his\her quran classes free of cost until he\she start to recite quran surah without any fallacy sing or word. We have been working with a good aim to spread quran education worldwide which means we welcome to children with an affordable fee charges that can be fixed by guardian to continue our online quran mission In Shaa Allah. * No Times wasting just focus on quran lessons for learning and reciting it exactly per day. * Extra classes are also taken if any child is not paying attention in quran lessons frequently. * In Quran Lessons Classes, all tajweed rules, difficult words are also written on white board. 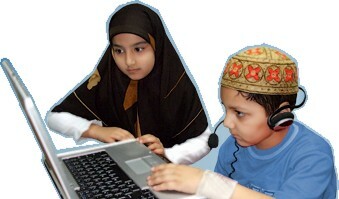 * We provide quran learning guarantee of beginner kids & would like to exchange progress weekly. * Compulsory basic dua with English translation, 5 pillars of Islam and required deeds are taught. * We get affordable & inexpensive fee charges to deliver Allah’s message to Muslim worldwide. *No FEE is charged if student is on vacations and no lame excuse will be of our tutor on off class. *We strictly request to our tutors to take quran classes with polite manners, speech and behavior.